This is the second part of an earlier post discussing the UK Foreign Affairs Committee Report on piracy off the coast of Somalia. 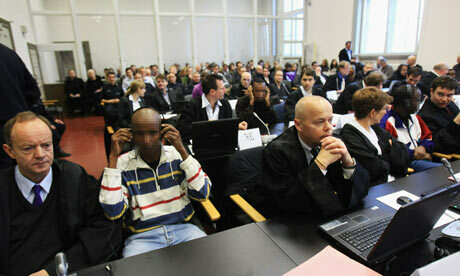 The trial and prosecution of pirates is also an extremely relevant, and pressing, topic. As noted in the Report, the peculiar features of modern day piracy, particularly in the Gulf of Aden and the lack of cohesive governance in Somalia, create several practical difficulties, including the apprehension, detention on board and transfer of suspected pirates. 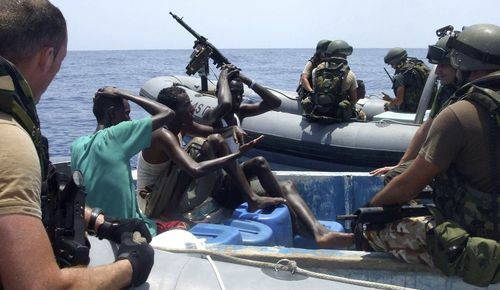 One of the primary purposes of policing activities through naval operations is, indeed, its deterrent effect on pirate attacks rather than the arrest and prosecution of the perpetrators. The collection of sufficient evidence to secure successful prosecutions is particularly problematic, as we noted in a recent post. 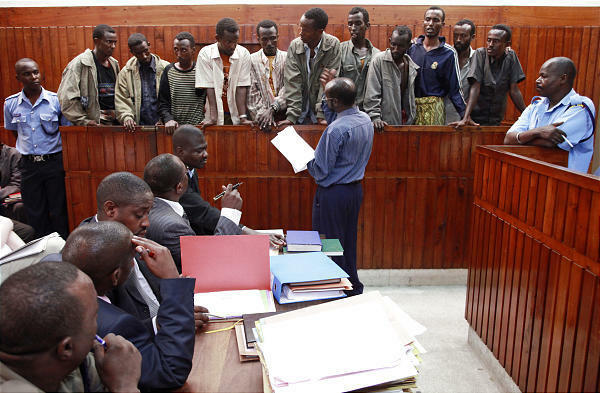 It should be remarked how any evidentiary assessment on whether to bring alleged perpetrators to justice should, ordinarily, be best placed in the hands of judicial authorities as neutral fact-finders rather than subject to the prelimary evaluation by the naval authorities upon the capture of suspected pirates. Moreover, the Report correctly points out how such assessment could benefit from modern technological means already available to the naval authorities, namely video, radar and satellite recording. In addition, remote testimony via video or audio link is recommended, particularly when victims are located in third countries or, more likely, have already set sail. Modern international law asserts the possibility to exercise universal jurisdiction over piracy prosecutions. However, as one expert who gave evidence before the Committee put it, the obstacle to prosecution is not identifying the appropriate jurisdiction, but rather the inability, and unwillingness, to prosecute. In addition, the surge of modern piracy and armed robbery at sea has exposed the current inadequacy of national laws, including in the UK, against piracy. For those operating within the field of international criminal prosecutions, the phenomenon is not new. Several states suddenly found themselves incapable to put Genocide suspects on trial before municipal courts due to the inadequacy of their national laws in enacting the provisions of the Genocide Convention. We have also discussed whether the response to modern piracy should contemplate a revision of the existing international counter-piracy legislation and mechanisms, in particular because it appears that current treaties have difficulty in addressing the difference between political and purely-financial motivations of pirates attacks, or whether attempted attacks are also punishable. Interestingly, as noted in the Report, the IMO has taken the view that “the development of a new multilateral instrument might be premature, or unnecessary, in light of the existing international legal framework on piracy, which was generally considered to be adequate”. Some concerns remain, however, particularly on the practical implementation and effectiveness of these mechanisms. Among the main arguments in support of this conclusion are also the possible high costs of an extra-territorial institution, with a tentative figure of $100 million a year. This is not convincing, particularly considering the lack of clarity at the basis of this figure as well as the present estimates of the global costs of piracy, which already identified high costs from the current prosecutions as well as a cost of ransoms alone capping over $130 million per year. In addition, this figure would remain a fraction of the overall economic costs of piracy. It must be acknowledged, however, that an extra-territorial court, financially supported by international organizations, might not be able to promptly contribute as an anti-piracy deterrent and develop effective outreach capabilities within the turned-pirate population in and around the Gulf of Aden. The rejection of the UN-funded option reflects a gaining trend to favor specialized piracy prosecutions within the area where the alleged attacks took place, counting on a much stronger deterred effect than trials taking place thousands of miles away. Local prosecution projects have already taken shape in Kenya, Mauritius and Seychelles, among other countries in the region. In addition, a small number of historic trials were also held in the US, Germany and the Netherlands, mainly because the alleged pirates were captured by the naval forces of these countries, or due to a nexus between the piracy acts and these latter.